Fraud: A Dayton Road resident reported an attempted Eversource scam, trying to get $1500 from the resident and bring to an address in Hartford. Two vehicle crash: Philip Madden of Baltimore was driving northbound on route 58 through a large amount of standing water. He lost control of his vehicle and crossed into the southbound lane a struck a vehicle driven by Suzanne Downer of Bethel. Both drivers had injuries and had to be transported to Danbury Hospital. Madden was issued a summons for driving too fast for road conditions. Kim Plourde has been a smiling and helpful presence at the Georgetown Post Office for 14 years. 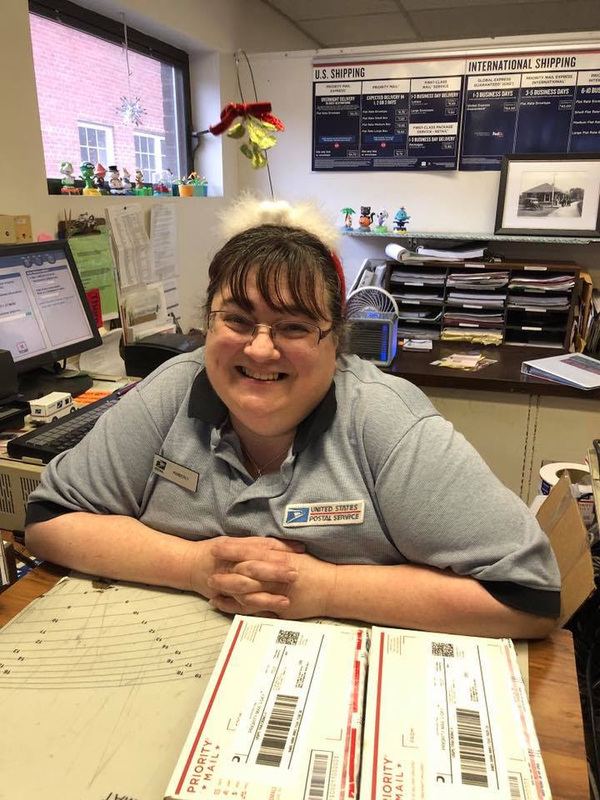 Recently, she transferred to the post office in her home town of Derby, CT.
She wanted the customers in Georgetown to know that she has enjoyed working with them and will miss them all. Frank Pilato, Postmaster at the Georgetown Post Office said he was happy to have had the past year with Kim and was excited for her as she entered the next chapter. He promised that Georgetown would still be the go to place for fast passport service because the “Passport Goddess” had taught him well. The Town of Redding Comprehensive Annual Financial Report for the Fiscal Year Ended June 30, 2018 has been posted to the town website. Click here to view.